Ben has been working as a guide for MotoQuest since 2006. 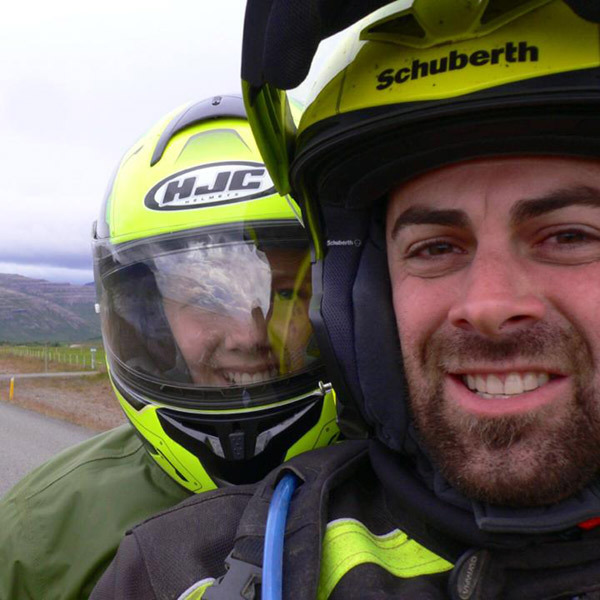 He rides a Ducati to work, and an adventure bike at work. He is an EMT, easy going, and always fun to have on the road. Back at the shop, Ben is known for having a work ethic. (Which makes the rest of us look real bad.) He is tireless on the road, and a good man to have around in case things don't go as planned. Favorite Motorcycle Experience: Riding Peru, Wow! what an amazing place! Worst Motorcycle Experience: Colorado motorcycle crash-skidding is easy but not fun. Favorite Motorcycle: The one with 2 wheels!